One motorist could barely believe their eyes when they looked over at the car beside them to see the driver watching a movie while navigating their way through Sydney traffic. 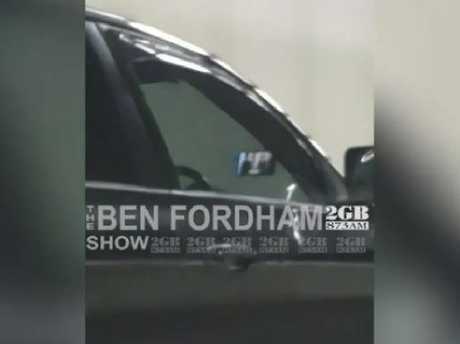 Footage posted by 2GB's Ben Fordham Show, which was sent in by one of their listeners, shows the woman driving along in the M5 tunnel with her phone mounted on the windscreen in front of her playing a movie. The incident reportedly took place at 5pm last Thursday and was filmed by a passenger in another car. Andy, the man who caught the woman, told Mr Fordham that the whole thing was "absolutely ludicrous". "This person needs their licence cut up straight away." He also added that he was certain there was a baby in the back seat. The footage was sent to the NSW Police with Chief Inspector Phil Brooks telling the program that they have the car's number plate and have launched an investigation into the incident. According to Insp Brooks around 42,000 fines were given out last year to people using their phones while driving, with 400 of those people being caught watching videos behind the wheel. "This is about changing people's behaviour and getting them to keep their eyes on the road," Insp Brooks said. Being caught "using a video display unit" while driving carries a fine of $337 and five demerit points.